Cover bands have worked hard to establish a reputation for excellence. Using their vocal abilities, instrumentation and performance skills, they provide a set which is instantly recognisable and therefore, instantly inclusive! Check out the profiles of our selection of Cover Bands available to contact and book below and find more information about what they do in our helpful tips and advice section. Find a Cover Band for hire near you in minutes! Option 1. Enter your event location below & contact a Cover Band directly! Option 2. Request multiple quotes from available Cover Bands Get Quotes! Option 3. Read information & advice on hiring Cover Bands Read Advice! Think of the top five songs that make you want to grin from ear-to-ear, dance and sing at the top of your voice…now picture a high-energy, high-volume live band playing those fantastic tunes at your event. You’ve just seen what a great Cover Band can do! The joy of a Cover Band is that they are there solely to play the songs that everyone loves, the music that all your guests want to hear and the sounds that will get everyone dancing and having the time of their lives. We have a huge range of wonderful cover bands who really know how to rock the party, and if you’re thinking of booking one of these floor-filling acts then we’ve covered the basics below. If you want the full low-down on how to book, how much space you’ll need and the real nitty-gritty of making sure your event booking goes perfectly, then take a look at our Complete Guide to Hiring Live Bands & Groups here. Is a Cover Band right for my event? Cover Bands make fantastic all-round, crowd-pleasing entertainment for most events. A standard live band may be happy to introduce some well-know songs, but they may also have their own repertoire of songs that they like to stick to. Equally, a tribute band will generally stick to the song-list of a particular artist or band. In both these cases they provide fantastic entertainment, but if you’re looking for something that is likely to please everyone, then a band that plays covers is by far the best bet. A Cover Band will play whatever you want to hear – covering all eras from the 60s to current chart toppers, and all genres from Motown and Jazz, to Pop and Country. It’s like having a big bag of pick and mix, with some Ed Sheeran, Buddy Holly, Aretha Franklin and Amy Winehouse - there will always be something to make everyone smile! If you have a playlist in mind, most bands will be more than pleased to follow it, and if you and your guests fancy taking your turn in the spotlight, why not ask if the band offers Bandaoke? You will need to consider the size of the area you have available for the band, but beyond this they make an ideal way to bring energy and a buzzing atmosphere to most parties. A Cover Band can provide background music or be the focal point of your entertainment throughout your wedding. Having a band playing your favourite romantic songs as your guests arrive can be the perfect start to the day and of course there is no better way to get everyone up on their feet and fill the room with happy energy after the meal than bringing on the band. Whether you’re organising a charity event, golf dinner, launch or office Christmas party, the versatility of a cover band provides the ideal solution to entertaining all your guests and creating a buzz that will keep them talking for weeks afterwards. They can also be combined with a DJ to provide entertainment for all-day events and festivals. Whether it’s a 16th or a 60th, a Christening or an Engagement party, the diversity of types of bands available to hire is huge. A Cover Band can be a safe choice and will suit all your guests and give everyone a song to dance to. You can even ask for a favourite song from each of your guests on your invitations and use their answers as the playlist for your band. It’s a great way to guarantee smiles and happy chatter about who chose which fantastic song. How much will a Cover Band cost? The cost of a Cover Band will depend largely on the number of band members, how experienced they are and how far they have to travel to your event. A Duo or Trio will be a cheaper option at around £300 to £500 in the UK ($500 in the U.S. and €600 in Europe). For a 4 or 5-piece band you can expect to pay between £1000 and £2000 in the UK ($1000-$2000 in the U.S. and 600€-1200€ in Europe). While a top quality band with high calibre musicians and the best equipment will cost anything from £2000 to £10,000 in the UK ($2000 to $10,000 in the U.S. and 2,200€ to 11,000€ in Europe). The quickest way to find the right band in your area is to use our search function. Just add your location and the type of band you need and click search to see a huge variety of acts to choose from. Our latest testimonials are also a fantastic way to start getting some ideas for your shortlist. Once you’ve found your ideal band, just contact them direct! Even better, if you would rather entertainers came to you, you can request multiple quotes here, and this service is completely free! 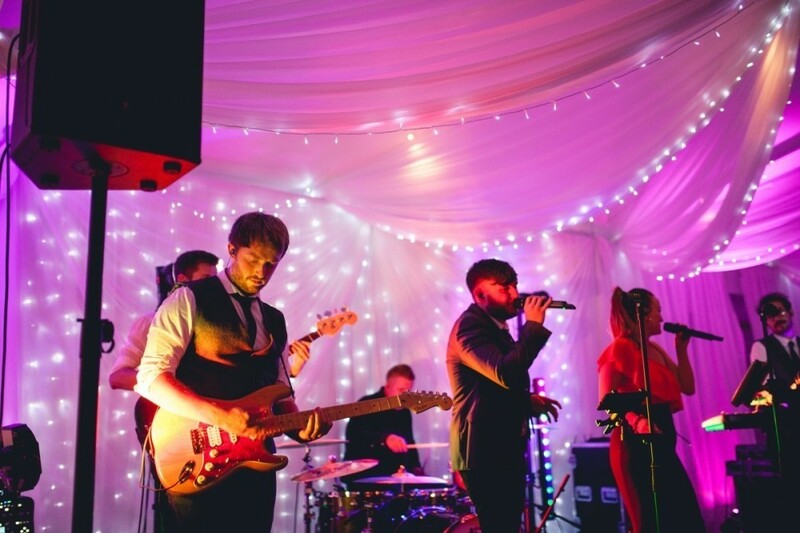 Booking that perfect band can make all the difference to your event, and we know we have exactly the right band on here waiting to fill your party with energy and smiles. We hope you enjoy your search but do contact us if you need any help. WANT TO RECEIVE A RANGE OF QUOTES FROM Cover Bands?